Devon A. Kinnard practices in the Banking and Finance, and Business Law areas, focusing on commercial transactions, including bilateral and syndicated asset-based and commercial real estate loan facilities; private securities offerings and debt and equity capitalizations; joint ventures; mergers and acquisitions; and other corporate transactions arising out of the day-to-day operations of closely-held businesses. He serves as counsel to a number of financial institutions, including regional and national banks and credit unions, and private, mezzanine and other corporate financiers, in connection with both internal corporate and transactional-based matters. Devon assists lending clients in structuring and documenting large-scale, complex multi-tranche credit facilities, and as well smaller, more traditional commercial loan facilities, including those involving U.S. Small Business Administration (SBA) and quasi-governmental agency guarantees. Devon also represents commercial borrowers in connection with commercial real estate and asset-based loan transactions, including construction loans, accounts receivable financings, specialized healthcare receivable financings, and inventory and equipment-based credit facilities. He also has experience representing lenders and borrowers in foreign and domestic letter of credit matters, and has represented both lenders and borrowers in sophisticated cross-border financing arrangements involving both U.S. and foreign institutions and subsidiaries. Devon has considerable experience representing private equity funds in connection with formation, structuring, offering, subscription and investment syndication matters, and is routinely sought-out as counsel for various funds seeking to invest in, and capitalize on, the economic revival of the Worcester market. He is often engaged to prepare private placement memorandums (PPMs) and other offering documents concerning securities exempt from registration under various federal and state ("blue sky") securities laws. In addition to his experience with secured and unsecured trade creditor representation in bankruptcy proceedings, Devon is often engaged in complex work-out and financial restructuring matters, and routinely assists lenders with bringing troubled credit relationships back to performing status. 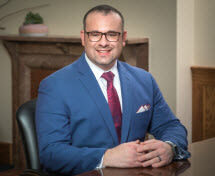 Devon's experience and practice focus also involves the specialized area of franchise law, and he is routinely engaged by various institutional lenders and franchisees in connection with franchise disclosure documents (FDDs), licensing, and other franchise-related matters. Devon has also represented numerous restaurants, bars and nightclubs in connection with obtaining and transferring liquor licenses throughout Massachusetts, as well with respect to financings and stock and asset purchase and sale matters. Devon and his family live in Worcester, where they are active in the local business and charitable communities and deeply committed to the city's long-term success and continued economic development. Represented multi-national manufacturing and distribution companies, having various manufacturing facilities and assets in the United States, Italy, and Hong Kong, in extensions of various revolving and term loan facilities (aggregating $9MM). Represented a regional lender in connection with an extension of a $20MM construction line of credit facility for the partial financing of constructing a 168 unit apartment complex. Represented a regional lender in connection with an extension of various lines of credit, term and commercial mortgage loan facilities (aggregating $10MM) to a U.S. based plastics manufacturer and its foreign subsidiaries. Represented Hong Kong based (and organized) manufacturing, supply, and distribution company in exclusive manufacturing, supply, and international distribution agreements with a U.S. based retailer. Represented a regional lender in connection with its extension of various term and line of credit loans made to a borrower in order to facilitate a leveraged buyout of a large scale, global beef distributor. Transaction involved various subordinate financiers and the structuring and negotiation of complex intercreditor arrangements with both private and quasi-government lenders. Represented a start-up green building consultancy and real estate developer in connection with its acquisition of a business sub-unit from a global mechanical systems corporation having revenues in excess of $1B. Represented a Hong Kong based plastic injection molding company in its capacity as the largest supplier to, and largest unsecured creditor of, a U.S. based retailer and distributor subject to Ch. 11 Bankruptcy protection. Represented a regional lender in connection with extensions of a various term, revolving, and non-revolving acquisition lines of credit facilities (aggregating $8MM). The transaction involved ensuring compliance with myriad security and collateral issues in connection with collateral subject to protection under the Health Insurance Portability and Accountability Act of 1996. Served as lead counsel to a regional lender in connection with an $18.5MM refinance of a well-known mixed-use retail complex in Massachusetts. Represented a national lender in connection with an extension of various revolving and term loan facilities to a national publishing and production company. Transaction involved the collateralization of a significant intellectual property portfolio, the pledge of various equity and/or stock holdings in borrower and certain of its affiliates, and complex subordinated debt and outstanding stock warrant issues. Represented a New England commercial and industrial rooftop solar energy company in connection with contract negotiations among domestic, European, and Chinese solar application.